Information graphic for teen education program. The program was to encourage teens to stay in school. 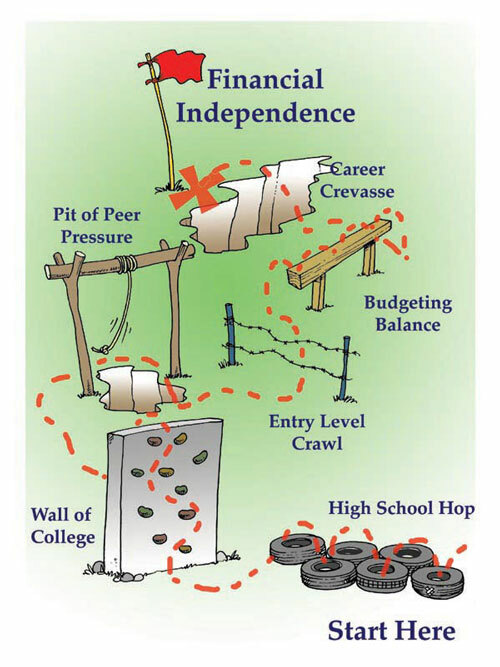 The image was a simplified concept showing the obstacle course to financial independence. Pen and ink drawing edited with color and text added in Photoshop.